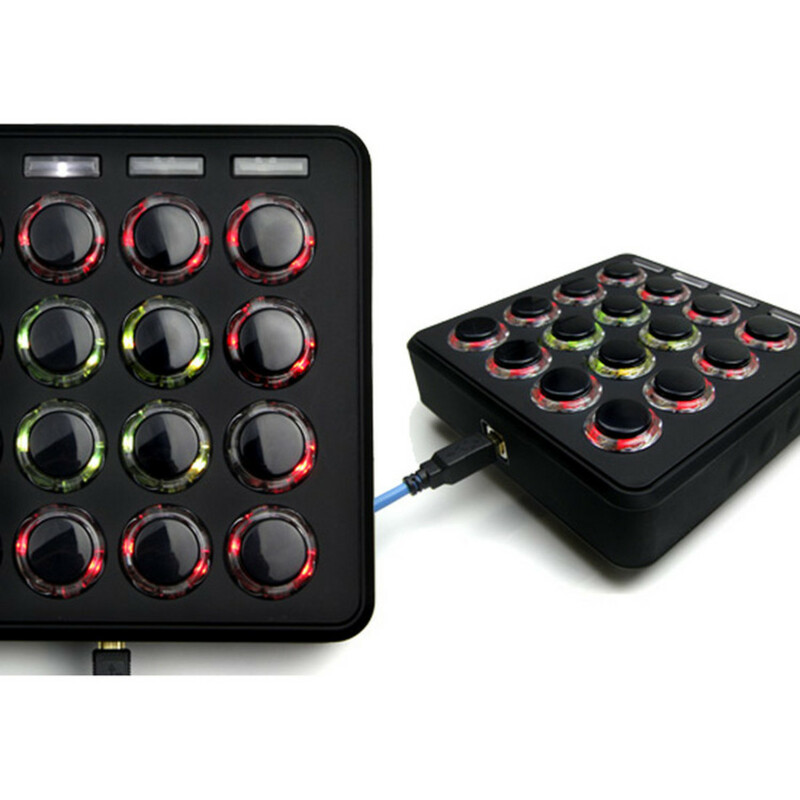 The MIDI Fighter has been designed to stand up to the rigours battering most controllers take over the course of a live set. This is a high performance controller that had been designed to be played hard and battered around, all in the name of music. 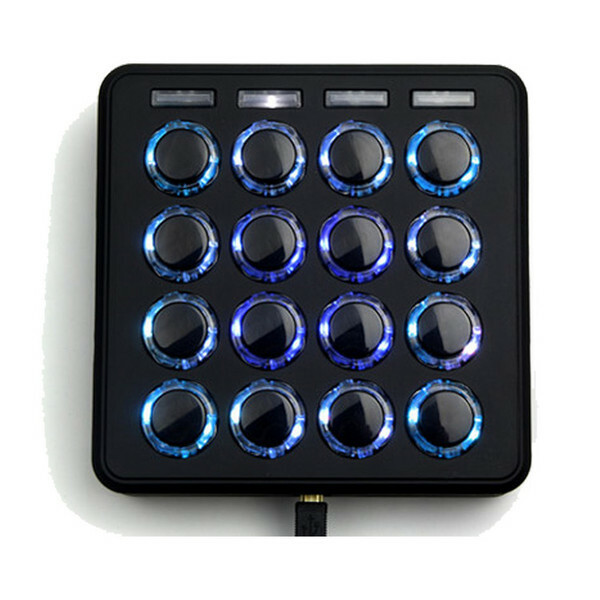 It really doesn't matter what software your using as the MIDI Fighter is fully customisable and can be mapped to any MIDI compatible software. So why is this controller special? Well it contains a gyroscope, accelerometer and compass to accurately translate every motion into musical expression. View Full Description That's right, arcade buttons. The MIDI Fighter is fitted with 16 of the best arcade buttons, designed to give hours of "Street Fighter" reminiscent button bashing. The lights glow in different colours to translate what is happening with the motion control. 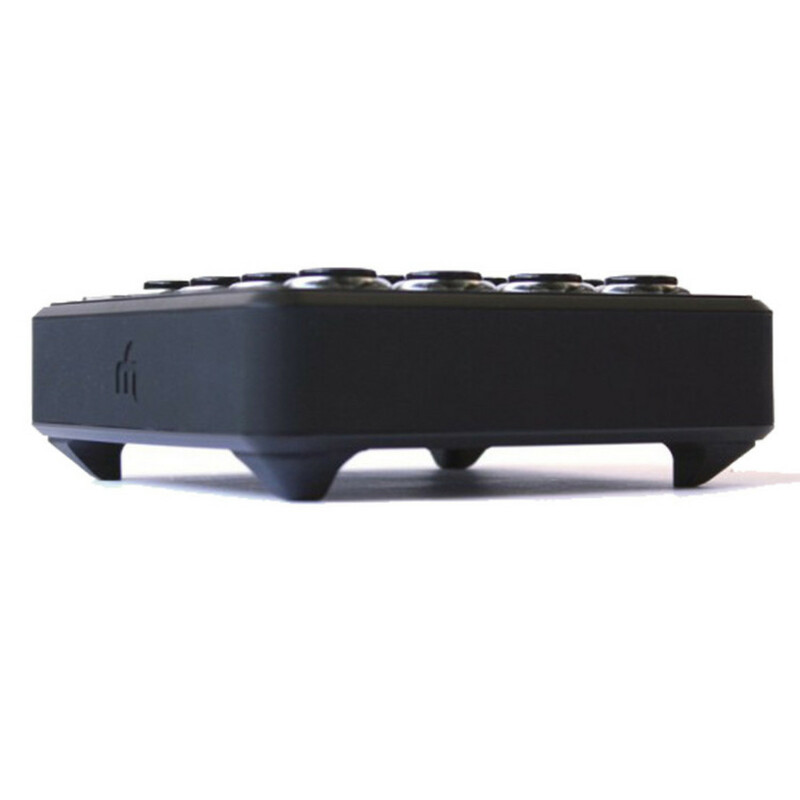 The MIDI Fighter is the first instrument of its kind, revolutionising the way we control music and how we interact with sound. Inside the MIDI Fighter is a state of the art gyroscope, accelerometer and compass which is be used to translate every movement into MIDI data. The accuracy and the feel of the motion sensors provide the smoothest feel you can possibly dream of, combined with 16 Sanwa arcade buttons, which are made in Japan. There button are rated at 5 million presses and will probably never break in lifetime of constant use. These are six shift buttons that can be used for preset selection or just about anything you want. We will be releasing a hand strap that allows you to hold the 3D in your hand and activate the side buttons while holding it - guitar style. Can I set the colours of the buttons on the fly? Yes- the firmware for the 3D is amazing! It allows you to set the colours of the buttons with various patterns, blinking, and effects all from software via MIDI-out commands. The range of each movement is always absolute and reliable so you can always find a value through muscle memory. The values and quality of the data coming out is unprecedented. The first batch will be matte black, with the ability to control the colour of the arcade button rings via software. The MidiFighter 3D is a class compliant, plug and play controller.